Thanks to the virtual mobility afforded by the internet, a growing number of people today are using online trading platforms to buy and sell foreign securities through brokers abroad. The number of taxes decreases further in Hungary. EP special committee says the same about a total of seven EU countries. 315,000 businesses are 'kata' subjects. After HUF 30 bn annual revenue previously. While overall tax-to-GDP ratio in EU edges higher. New bill could give ESOPs a boost. Preferential VAT rate on sale of new residential properties remains in effect until end-2023. MPs seen adopting new rule this week. The "little brother" of corporate tax. Manoeuvring room may be HUF 500 billion. 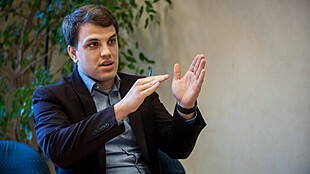 Managing Director of Continental Automotive Hungary on the upcoming wage hike, contribution cut and their consequences.